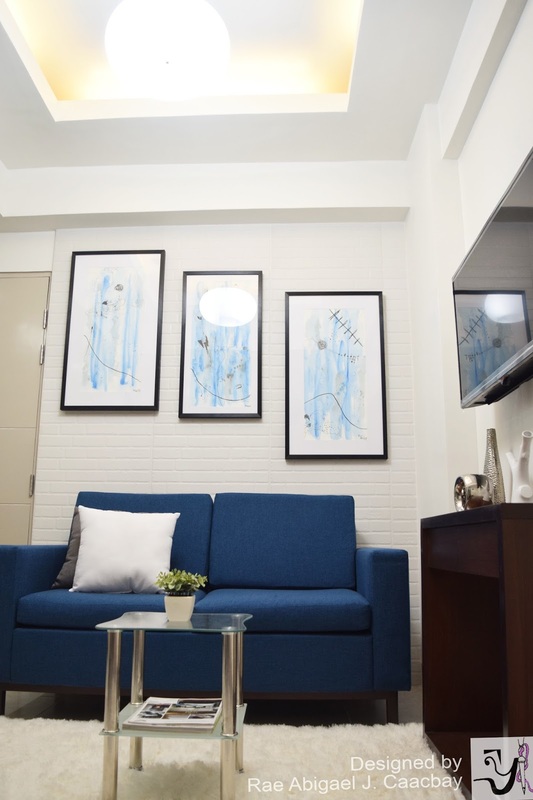 A lot of home makers, home enthusiasts, decorators, and the like usually take curtains and draperies for granted; leaving these home decors the last consideration in their spaces. However, as an interior design student, studying for this degree has thought me that curtains and draperies are as important as the wall color and the lighting. First of all, window treatments take at least 30% - 60% of your spaces depending on how many windows you have. In some cases, if you're living in a glass house, 99% of your space will have to be all about draperies and curtains! With that said, I'm gathering inspirations for window treatments. 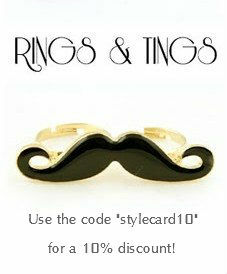 For today, it's all about black and white since this shade and hue is a timeless classic! Perfect for all types of design styles ranging from the very clean minimalistic style to the every so heavy and beautiful traditional design style. "Black Colored Concise Curtains in Living Room. 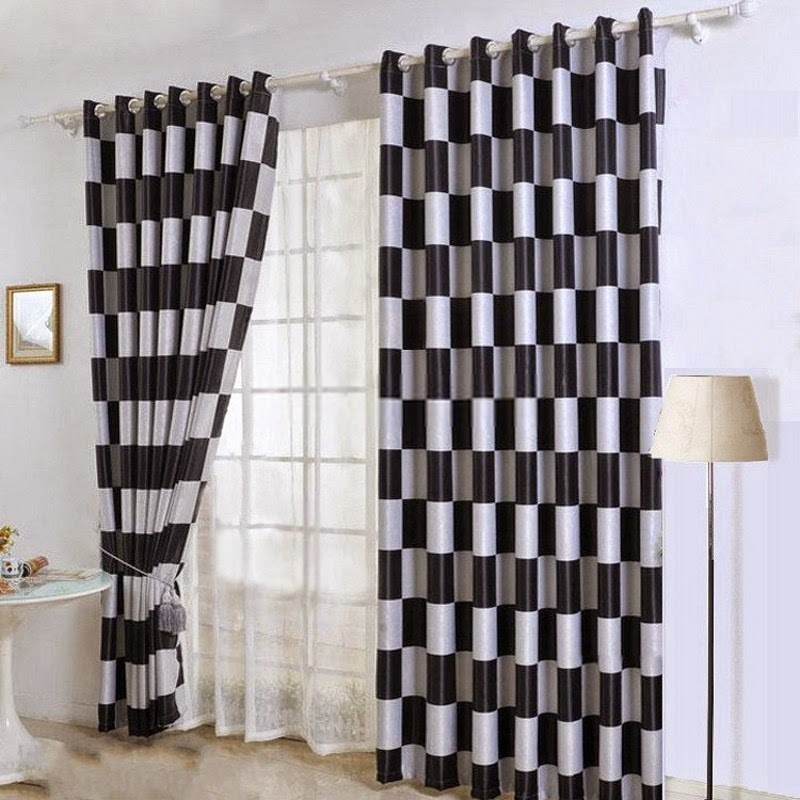 Black colored curtains are suitable for living room, bedroom or as the divider for room space. This set is blackout and energy saving type. 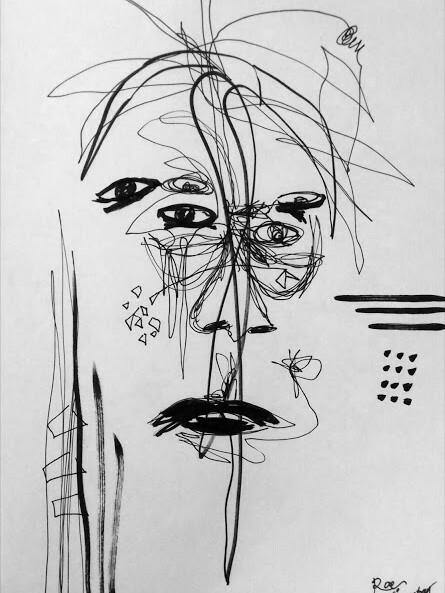 So it is of good quality. 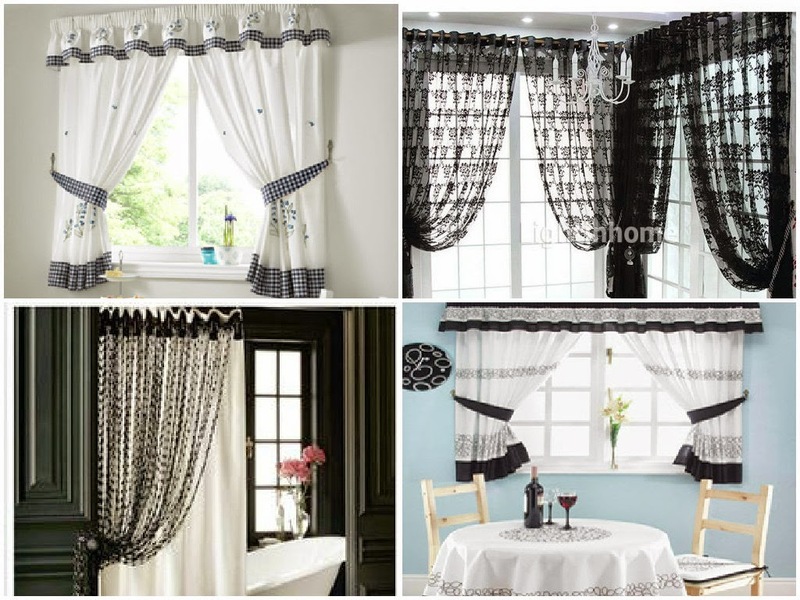 Black curtains are uncommon but special." 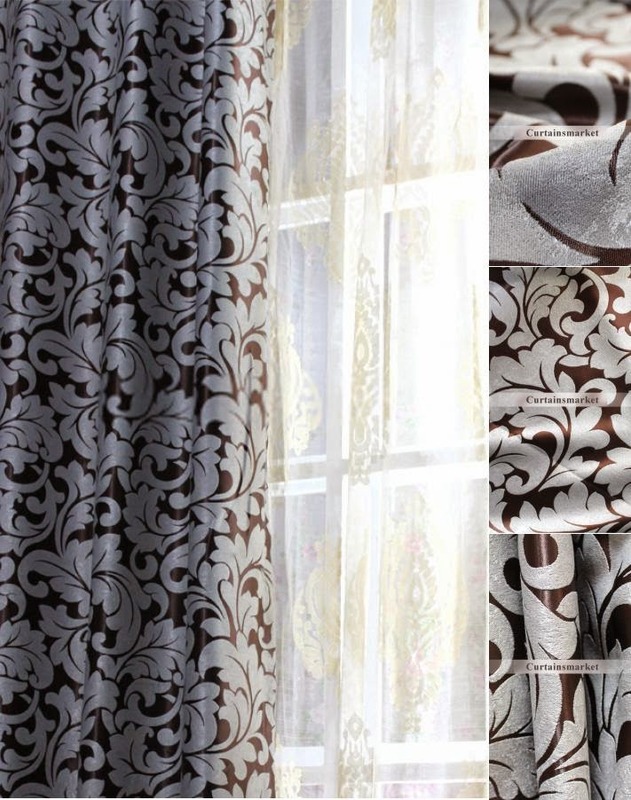 "Elegant Jacquard Pattern Curtains for European Style. 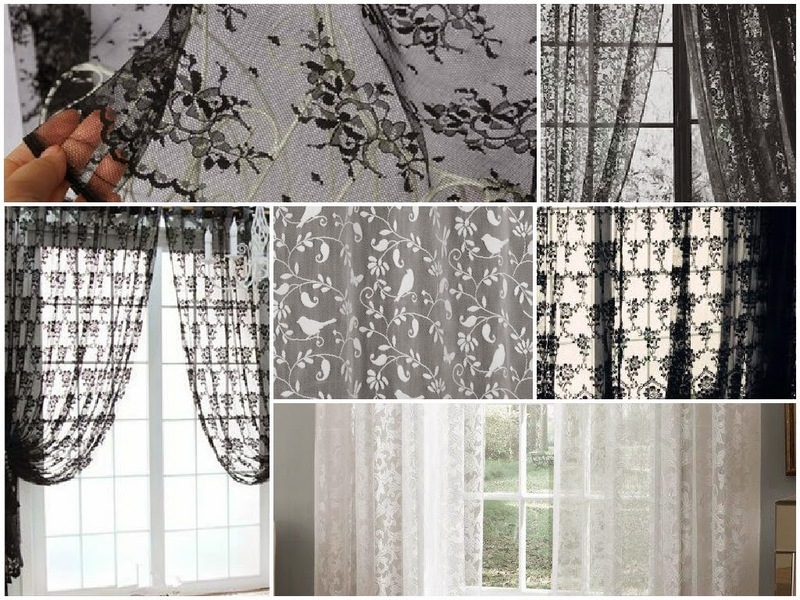 Gray jacquard curtains are suitable for bay window, French window or different rooms. Worth to say, this one is good for blackout. 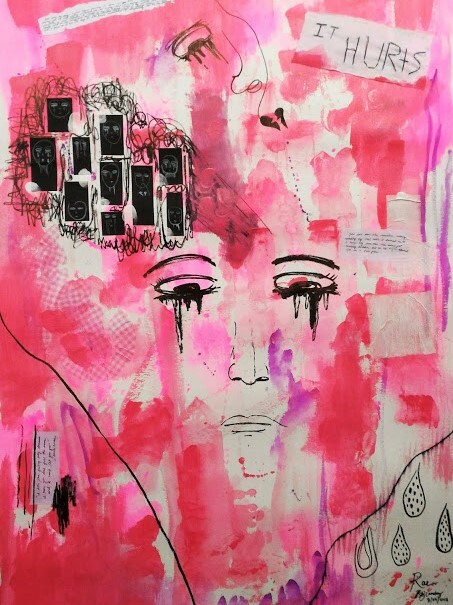 Nice patterns will not give you dazzling senses. 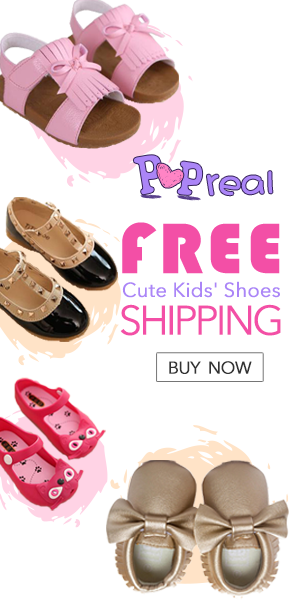 You can rest assured to order it online." 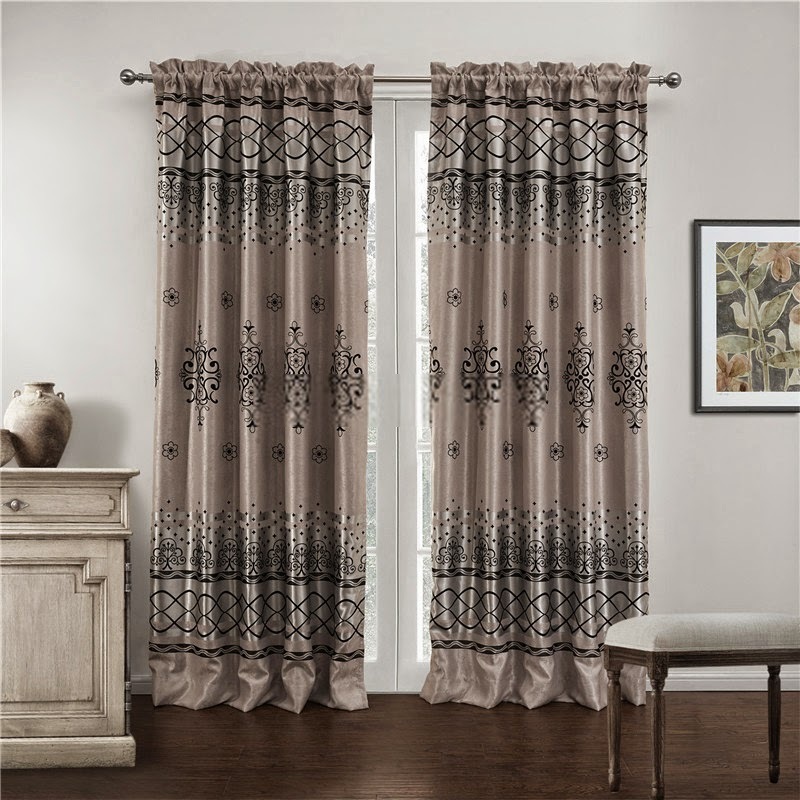 "Patterned curtains and drapes are presented in modern style. This curtain is made of cotton and linen that are more nature. The pattern is fill sense of modern. The blackout curtain can create a good environment for you to rest. Jacquard technology can keep curtain pattern beautiful." 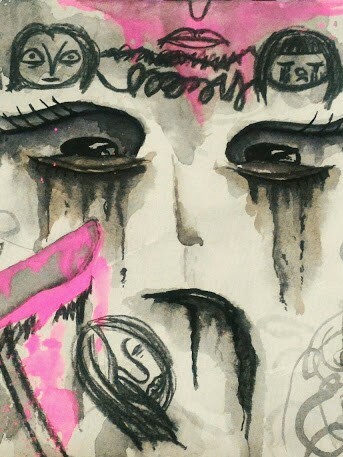 "Flocking Crafts Blackout Gray Asian Curtains. 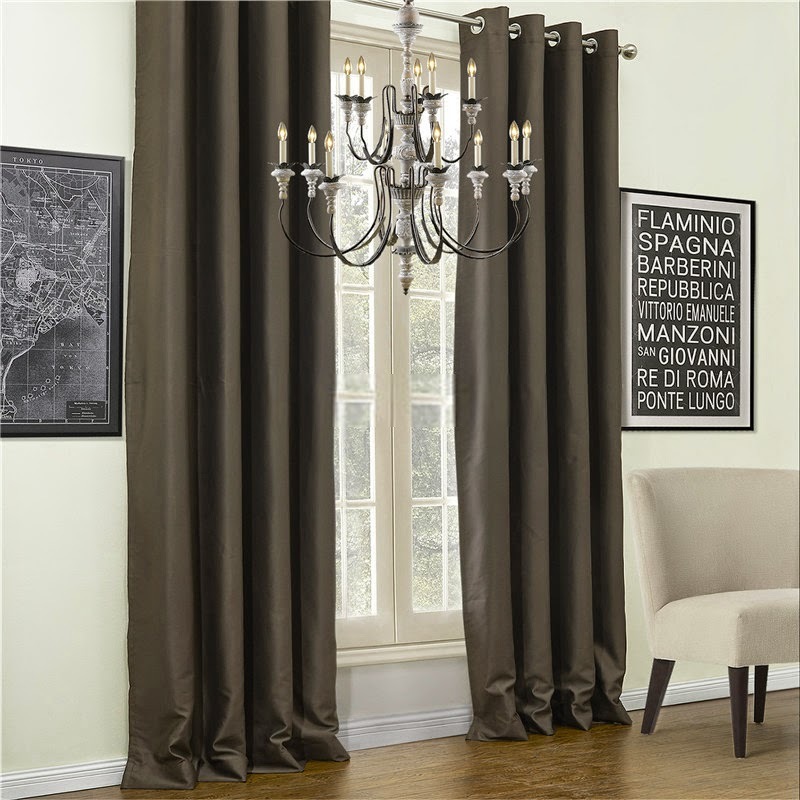 This set curtains are graceful, you can pick this one for your living room. It is high-end and of great flocking workmanship. Various geometric patterns seem play a happy song on these panels." 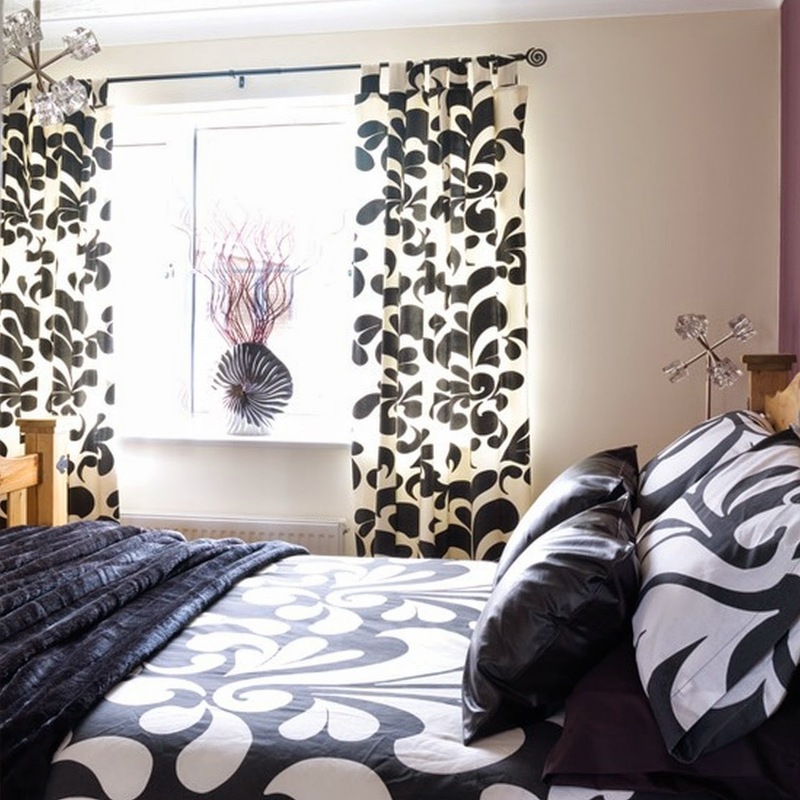 "Leaf Embossed Modern Blackout Cheap Black Curtains. Black curtains are not normal in the market. For this one, we choose black for it, so it is special. 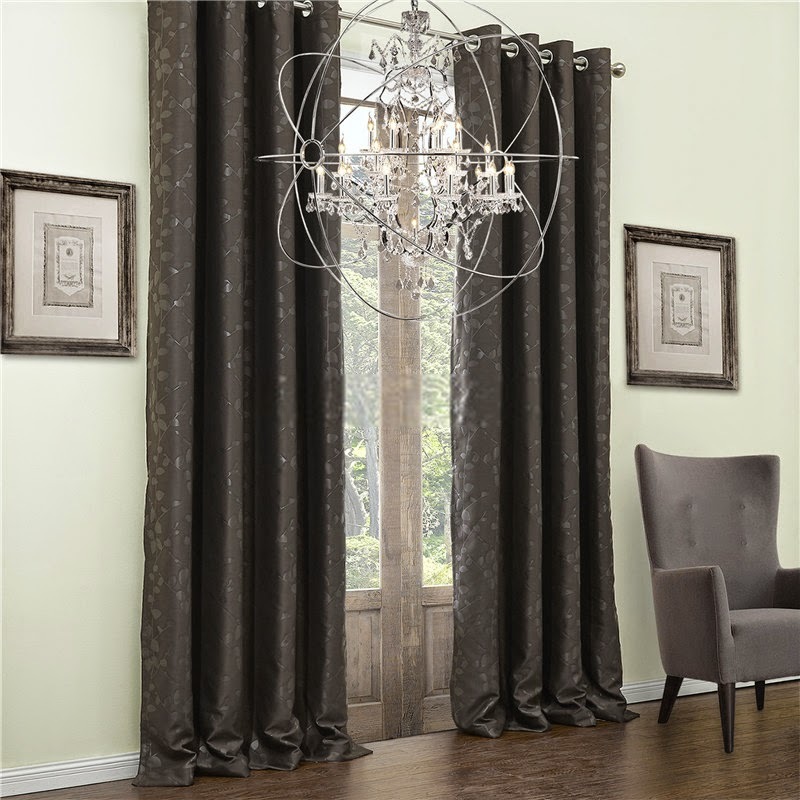 If your room color tends to be light one, you may consider these black leaf embossed curtains." "Funky shower curtain is suitable for modern decoration style. The black plaid pattern is very fashion and modern. 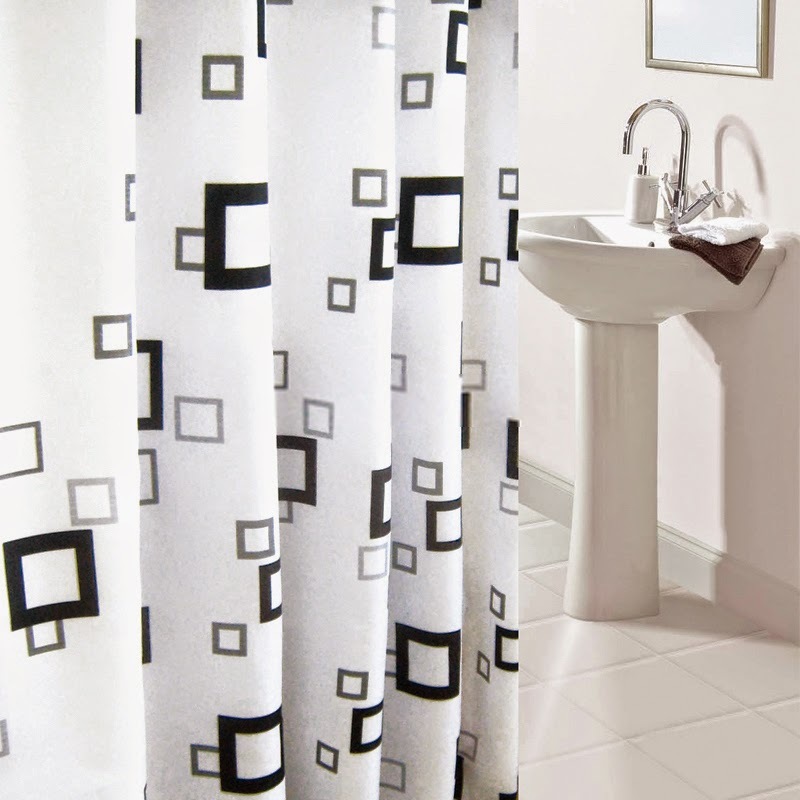 Polyester is this shower curtain’s material that is high quality. It is softer and more durable. It has a good vertical sense for special design of bottom part. " 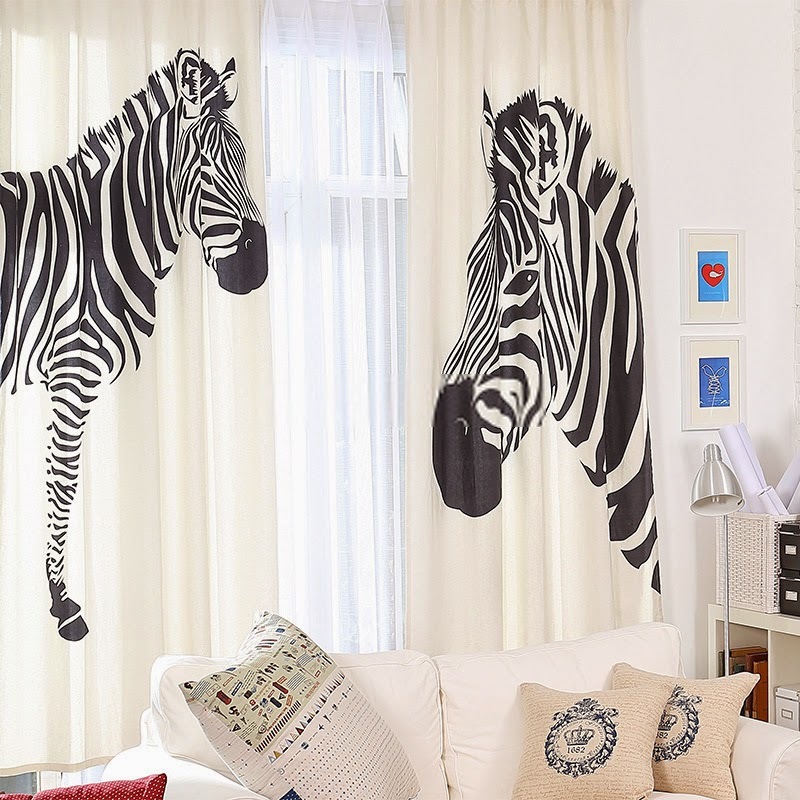 "Zebra print curtains is very fashion. Zebra pattern can add modern element to your room. Black and white is a classic combination. Cotton and linen material is healthy. This curtain can decorate your room." 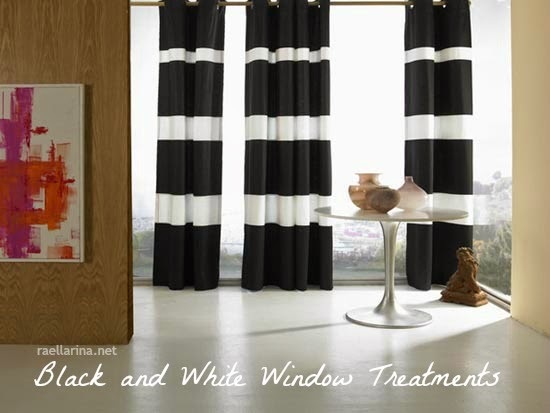 Black and white curtains are not exclusively modern or contemporary (but the first few pieces I have shared are Modern Curtains) because there are also black and white curtains for a variety of styles including Country Curtains and Shabby Chic Curtains. "Owl kids room curtains are very cute and fashion. Owl patterns are very cute, which may attract kids’ eyes. Cotton and linen material is high quality that is durable. This curtain is presented in modern style. " Window treatments really have a big impact in the whole design of a room or space and they shouldn't be taken for granted with the famous line, "kahit ano na lang yung kurtina" (let's just choose anything or whatever for the curtain). + All country curtain photos belong to their rightful owners. 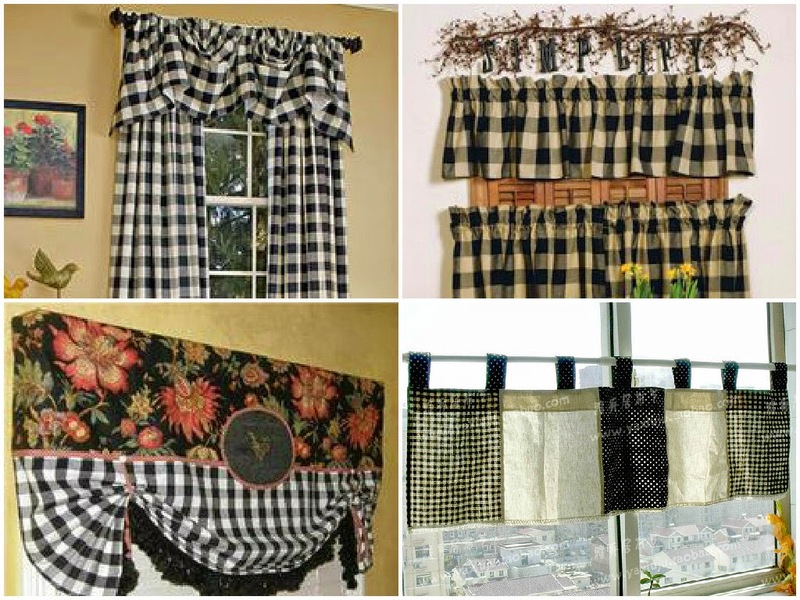 + All shabby chic curtain photos belong to their rightful owners. + All lace curtain photos belong to their rightful owners.